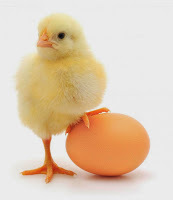 The Australian Small Business Blog: Marketing or Systems – The Chicken or the Egg? Your business is doing pretty well, but you can tell it could be a whole lot more productive. You notice that your staff spend a lot of time putting out fires to keep clients happy. On the other hand, you know that the marketing is unfocused and sales, while at a reasonable level, are unpredictable. Great one month, and not so much the next. Your staff are fighting fires, because your systems are gaffer taped together. They were fine in the earlier days when you weren’t so busy, and everything was a custom job, but now mistakes happen because of the pressure from the volume of customers and you and your staff are forever in fix it mode. On the marketing side, you know about half your marketing works, but you just don’t know which half! You can also see that while some of the customers are worth their weight in gold, others are wasting your time, and you don’t have a way of filtering them. So which comes first: your marketing or your business systems? The reason for most people hesitate before answering, is they don’t have the time to do both, so the first step is to create more time. 1. Deciding what is important, the mission critical items that only you can do. 2. Delegating, outsourcing or dropping the not-important, non-urgent tasks which are taking your time. 3. Booking uninterrupted time with yourself to focus on the mission critical items on your list. Once you have created the time, and you examine the choice between your marketing and your systems, it will become clear that the problems are actually quite similar. The reason why you don’t know which marketing campaigns produce the best results is because you don’t have a system to measure them. The reason you aren’t able to filter your customers is because there is no system in place to do so. With everything coming back to systems, the next priority is to create a system infrastructure for your business suitable both for operations and sales, otherwise known as a Business Management System. Your Business Management System will have reporting tied to your bottom line so that you can see where the opportunities for improvement are. It will show you what marketing is working, and which customers are golden. The reporting will also identify the priority areas where fire prevention systems should be installed first in your operations. Your Business Management System will enable you to better utilise your staff to address both the marketing and the operational issues so you are not trying to do it all yourself, and you can leave it to the philosophers to continue the never ending debate on which came first, the chicken or the egg. Share this article: Marketing or Systems – The Chicken or the Egg?